Podcast and Podcasting is broadcasting the media files either as audio or video over internet and combination of the words Pod of iPod and Casting of Broadcasting. Those who are new to our website, they are suggested to understand the architecture and way we publish the articles. You will find very closely related practical guides and lists of Applications which are either indirectly related to Podcast like importance of RSS subscribers as RSS is quite closely related to Podcasting or very basic need for many users like Podcast Apps for Android. What we want to say is that, unlike usual blog type websites, we usually have articles for the 4-5 aspects or facets of a technology. Like this article on Podcast is fully technical, while, there will be specific article on how to create your own Podcast from already existing writings. So, for this series kind of niche sites, Podcast itself is important to keep users like you to stay updated. As we said before, the word Podcast is made up of the trademarked word iPod from Apple and Broadcast. A single podcast is actually a series of media files (or episodes) that a Newsfeed (mostly RSS ) can be downloaded automatically. Alternatively, podcasts are also known by the brand-neutral term Netcast. 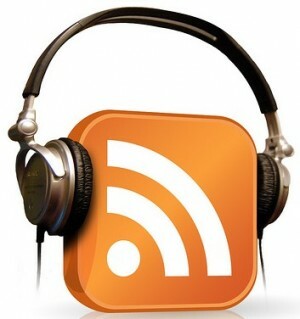 Podcast are similar to radio broadcasts, but can also be heard regardless of the broadcasting times. In the case of television broadcasts or other video material that has been published in this way, it is called vodcast or vidcast now mostly a video podcast. Podcasting would be as part of the range of video / audio-on-demand. However, the latter terms are more likely to be searchable paid services, while Podcast offered generally as free for a selected set of users. The inventor of podcast is Tristan Louis , who proposed the concept for the first time in 2000 and Dave Winer who first modified it. Former MTV host Adam Curry is a producer himself as a pioneer of “audio blogging”. The term “podcast” was invented by Ben Hammersley in 2003. In 2005 Apple integrated podcast into the already popular software iTunes to give access to a mass audience. So it is quite obvious that Podcast technically needs two parts – one is the source server and the second is the software part like we mentioned in our article Podcast Apps for Android in order to listen them. Any participant on the supply side (or podcasters) create these media files and then put them through a news feed on a server. A participant can subscribe to this so-called feed with special software. A subscription here means that the software periodically checks the news feed of the podcast for new posts and then prepares for downloading. Podcasting is not only limited to reading to headlines but also the media files are aggregated. Podcasting uses existing techniques. It facilitates the provision and reception of audio and video content. Thus, a wider base is created by producers and consumers. To create the audio for a podcast, there are several ways : First, you can record live audio with a recorder. It is possible with a computer audio input and microphone or headset or mini device with recorder, the recordings can be transferred to the computer and re-worked. Using an audio editing program such as the free audio editor Audacity or Paid software like Sony Sound Forge, individual components (speech, sounds, music) are cut together into a post. If you want to create longer pieces of spoken text as an audio file, an automatic speech synthesis software is used as an alternative to a human speaker. It is recommended to produce MP3 files through speech synthesis software. The audio data is generated in MP3 format or by any other audio codecs , such as Advanced Audio Coding (AAC) or Vorbis. At the same time, the audio data using enclosed tags are registered in a news feed. To facilitate the handling, special programs like Podcast Maker or GarageBand are used, making it possible to create podcast without a lot of technical training. An enhanced podcast can display images simultaneously with audio. These can contain chapter markers, hyperlinks, and artwork; all of which is synced to a specific program or device. When an enhanced podcast is played within its specific program or device, all the appropriate information should be displayed at the same time and in the same window, making it easier to display materials. Enhanced podcasting is considered to be a very practical way to present information. This new technological phenomenon is becoming more prominent in schools, universities and businesses; as it is an efficient way to present school and university lectures, slide shows, video clips, and other presentation materials of the like. This Article Has Been Shared 2504 Times! Cite this article as: Abhishek Ghosh, "Podcast and Podcasting," in The Customize Windows, February 1, 2013, April 20, 2019, https://thecustomizewindows.com/2013/02/podcast-and-podcasting/.